Yul Brynner in dressing room in the movie "The Ten Commandments". . HD Wallpaper and background images in the Yul Brynner club tagged: yul brynner classic actors photo classic hollywood the ten comandments. 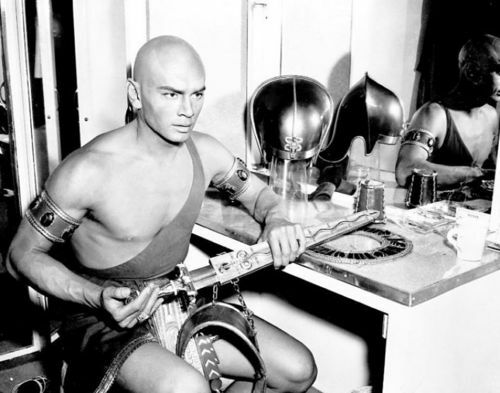 This Yul Brynner photo might contain espátula and cozinha.